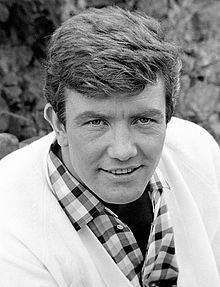 Actor o Sais oedd Albert Finney Jr (9 Mai 1936 – 7 Chwefror 2019). Saturday Night and Sunday Morning Arthur Seaton Gwobr BAFTA "Most Promising Newcomer to Leading Film Roles"
Enwebwyd – Gwobr BAFTA "Best Actor in a Leading Role"
Enwebwyd – Gwobr Golden Globe "Best Actor – Motion Picture Musical or Comedy"
1970 Scrooge Ebenezer Scrooge Gwobr Golden Globe "Best Actor – Motion Picture Musical or Comedy|Golden Globe Award for Best Actor – Musical or Comedy"
Enwebwyd – [[Gwobr Academi "Best Actor"
2003 Big Fish Edward Bloom, Sr. Enwebwyd – Gwobr BAFTA "Best Actor in a Supporting Role"
↑ 1.0 1.1 Barnes, Mike; Byrge, Duane. "Albert Finney, Chameleon-Like Star of Stage and Screen, Dies at 82". https://www.hollywoodreporter.com/news/albert-finney-dead-tom-jones-dresser-erin-brockovich-star-was-82-1022693. Adalwyd 9 Chwefror 2019. ↑ 2.00 2.01 2.02 2.03 2.04 2.05 2.06 2.07 2.08 2.09 2.10 2.11 2.12 2.13 2.14 2.15 2.16 2.17 2.18 2.19 2.20 2.21 2.22 2.23 2.24 2.25 2.26 2.27 2.28 2.29 2.30 2.31 2.32 2.33 2.34 2.35 2.36 2.37 "Filmography for Albery Finney". http://www.tcm.com/tcmdb/person/62063%7c9139/Albert-Finney/filmography.html. ↑ 3.0 3.1 3.2 "Albert Finney List of Movies and TV Shows". https://www.tvguide.com/celebrities/albert-finney/credits/138618/. ↑ "Mort de Albert Finney, acteur de Skyfall et Jason Bourne" (yn French). https://people.bfmtv.com/cinema/mort-de-albert-finney-acteur-de-skyfall-et-jason-bourne-1629024.html. Adalwyd 9 Chwefror 2019. Newidiwyd y dudalen hon ddiwethaf ar 9 Chwefror 2019, am 16:46.